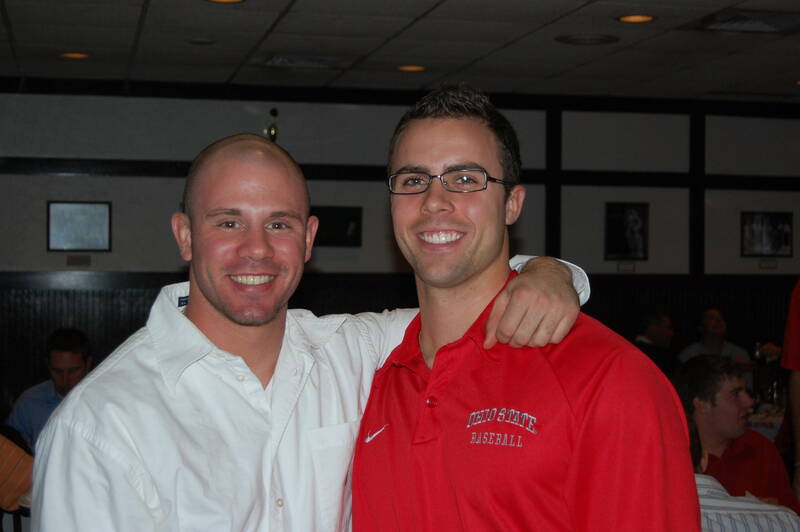 COLUMBUS, Ohio – Coming off a 42-win season that included a Big Ten championship and a trip to the NCAA tournament, the Ohio State baseball team announced its 2010 captains at its Scarlet and Gray World Series victory dinner Tuesday evening. Seniors Cory Kovanda and Zach Hurley were each voted captains by their peers. Kovanda, a second baseman from Columbus, has started at second base each of his first three years at Ohio State and hit .341 with 11 doubles and 38 RBI in 2009. Hurley, an outfielder from Springboro, Ohio, batted .346 with 12 doubles and led the team with 14 stolen bases his junior season. He was drafted in the 45th round of the Major League Baseball amateur draft in June but opted to return to Columbus for his senior year. 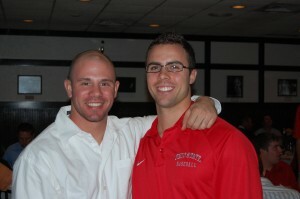 In addition, freshman right-handed pitcher Brett McKinney was named rookie captain of the 2009 squad. Full team practices for the Buckeyes will begin Feb. 1 with the first game slated for Feb. 19 at North Florida.